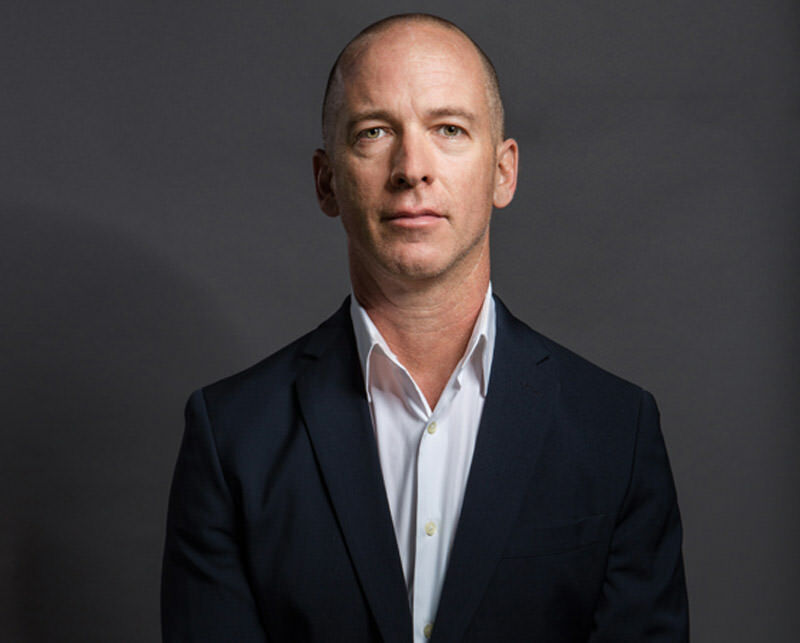 This might sound like a more pedestrian assessment of the market, but this was a long-held belief espoused not just over neighbourhood fences across the island but also in boardrooms, c-suites and in real estate brokers’ offices. The inaugural Red Book was published in 2008 just around the peak of the market, and what fortuitous timing it was. In a market generally devoid of published statistics, the need for empirical data, market insights and trend analyses could not have been more evident. In the ten years since we have been collecting and publishing market data and insights as the market has made its way from the growth phase and peak through to the bottom of the cycle. On this the 10th anniversary of The Red Book, we looked back at property values across various property segments. The aim was to establish where values are today in relation to where they were when The Red Book was first published. Broadly we summarised the residential market into two segments, the foreign/luxury market (geographically along the west coast) and the domestic/middle market (broadly everywhere else). The illustrations below summarise the change in values in each segment from 2007 to today. 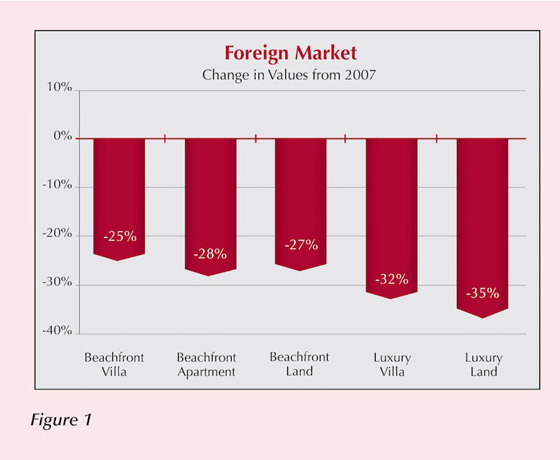 The overall average change in value for the foreign luxury segment over the period is -29% (Figure 1). An important distinction is the data does not consider ‘list pricing’ but rather actual achieved prices. In many instances we have seen as much as 50% discounting between list pricing and achieved pricing in 2016, as some sellers have followed the market down. There are a number of perhaps obvious factors that bear mention when considering the overall decline in this segment. Firstly the extent of the ‘exuberance’ and speculation in this market was substantially greater than that which drove the domestic market. Also notable is the fact that the market exuberance was enabled by a 10-year high Sterling (Figure 2), which bounced around US$2 throughout the period (now down by 40% to a recent low of $1.21). 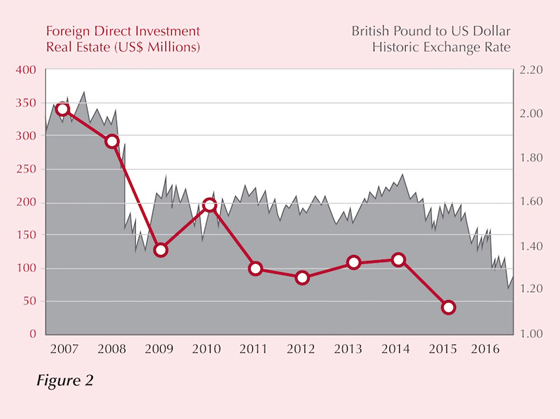 The Foreign Direct Investment figures in the same chart illustrate the considerable extent of the market peak and also have a notable correlation to the strength of Sterling through the period. Correspondingly there was a significant amount of inventory delivered to the market throughout the decline, most of which is still chasing demand. The problem is that most of the inventory was built at 2008 prices and those buyers are simply not there. Expectedly there were anomalies with some areas or developments presenting different experiences on both the high and low sides of the data. Generally those properties in prime locations, in lower supply and with unique attributes outpaced the wider market. The three headwinds facing this market in 2016 are a soft Sterling leading into the winter season, continued oversupply of inventory and a general layer of uncertainty around a hard Brexit. The peak in this segment likely occurred in 2009/2010 so the baseline values do not necessarily represent the peak of the market. The overall average change in value in this segment (Figure 3) is -7%, however the changes in value vary more widely than those in the foreign market. The obvious standouts are the beachfront apartment and beachfront land segments. The supply/demand dynamics have generally been closer to equilibrium in the apartment segment with demand now likely outpacing supply. Perhaps correlated to that is the fact that demand for beachfront land in prime areas along the south coast has increased as the two main apartment developments have sold out and news of new hotel development has hit the market. The value swing between beachfront land on the south compared to the west is approx. 40% over the 10 year period. A simple factor worth mentioning is the sheer difference in size of the market geographically; the development area on the south from Carlisle Bay to St. Lawrence Gap (approx. 5 miles of coastline) is approximately half the size of the area from Batts Rock to Six Mens (approx. 10 miles of coastline). 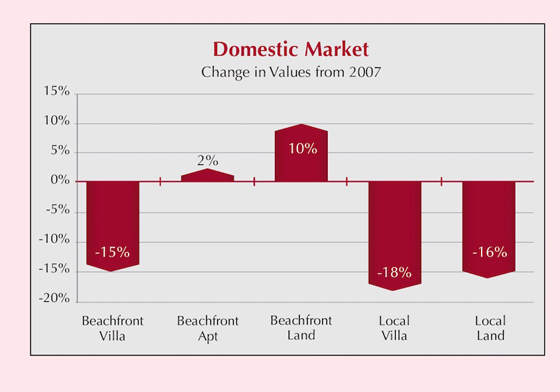 Excluding the beachfront apartment and land segments, the overall average change in value in the domestic/local segment is -16% through the period. One of the notable trends in the vacant land segment during the period is the general shift away from larger lots in the 15,000 sq. ft. range to smaller lots in the 7,500 sq. ft. range. This has had a substantial impact on those land developments which contemplated larger lot sizes, with many having to reduce prices substantially to compete. Generally the main headwind facing this market in 2016 continues to be the domestic economic environment. The fact that Standard & Poor’s and Moody’s issued a combined ten downgrades to the Barbados sovereign credit rating over the 10-year period is not insignificant. 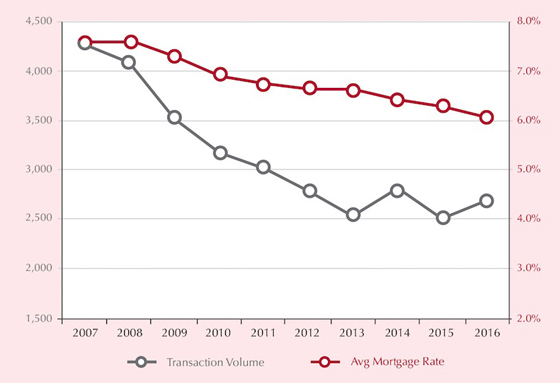 The decline in trading volume across the broader market during the period is approximately 40% (Figure 4), with an unprecedented number of sales by mortgagee being observed in the recent twelve months. The updated figures would seem to indicate a levelling off in the decline of transaction volume, which is typically a bottom cycle signal. Whereas lending rates are at a 10-year low, there is a sense that buyers generally remain circumspect. After quite a number of years of generally stable market conditions, the recent ten years proved to be an opportune time to produce The Red Book. While the data presented gives a general picture of the residential market over the period, it is not necessarily representative of the wider market nor does it mean there are no gaps or opportunities in the market. An example would be the A-Class office market which experienced a low stabalised vacancy rate, rent growth and likely some cap rate compression during the period. Beachfront land in the Carlisle Bay area is in strong demand when compared to ten years ago when there was little interest generally in the area. With the draw of restricted development on the beachfront, the east coast of Barbados continues to be in demand by both local and foreign buyers. There are a considerable number of other nuances and insights evident in the data, which perhaps affirms the importance of getting informed and timely advice on the property market. It is unlikely that the market is at a point of inflection and there is little data supporting anything but a flat trajectory for the majority of the segments covered here, over the next 12 months. We will however continue to monitor and report on the market as we have done in The Red Book over the last 10 years.